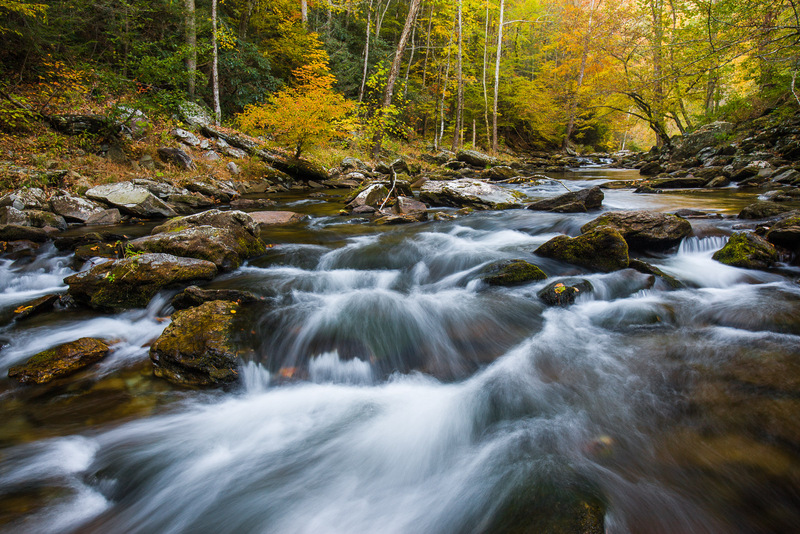 Middle Prong Little River's flows with the colors of autumn. This cherished river running through the park offers glimpses of dogwood, rhododendrons, and hidden trails to transverse into the woods. Photo © copyright by Lance B. Carter.